Four years ago, Ibex Expeditions, an eco tours, adventure and luxury travel company in India, was approached by People & Places, UK, as the reliable partner to start their Responsible Volunteering program in India. We are not simply travel partners; we became the project management team to identify worthy, needy projects and to engage in their needs and future plans. The concept and commitment sounded challenging. India is large, but we did not hesitate. ‘Giving back’ has been part of the ethos of all our trips–be it by way of disposing garbage responsibly from our mountain expeditions or supporting wildlife conservation –and in our lives personally too. When Pack for a Purpose and Ibex made contact, it seemed the perfect way to continue efforts and strengthen our commitment to the community. With the wide gap between village and urban environments, we needed to be sure of how this would be perceived by both entities. Though Ibex was committed, we had to, at first, negotiate cultural and local sensitivities. The next step was to give what was needed to the right project. 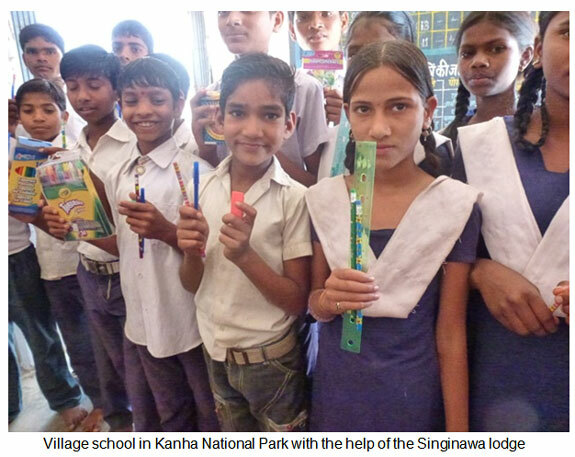 The school for the deaf and mute in Delhi told us that the children were excellent in art as their energies were directed towards non-aural forms of communication; the girls school in a remote village in Rajasthan wanted sewing kits; the village school in Deogarh, Rajasthan, needed stationery items; the village schools close to Central India in Kanha National park needed drawing items. It was wonderful. On the subject of charitable giving, we have seen that the importance lies on how well to give rather than how much to give. Pack for a Purpose’s philosophy of Small Space. Little Effort. Big Impact. is evident in the donations presented to us in India and the long way they have gone. In just the first few months of 2013, we have received almost 100 pounds of items for village children. We owe a big thanks to Pam Caldwell (17lbs), Lisa Larsen Hill (16 lbs), Paulette (15 lbs), and Joanne Lee (32 lbs) from the US and Ericka Baron (18 lbs) from Canada who donated generously. 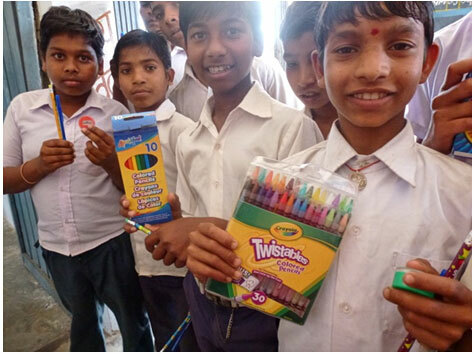 The smiles on their faces, and the creativity this has inspired, have made this another meaningful way to support our local communities and reaffirm our company philosophy.